Fill a container with gummy bears. Add the alcohol of your choice. Place in the fridge for a minimum 1 hour to 48 hours depending on the time you have. 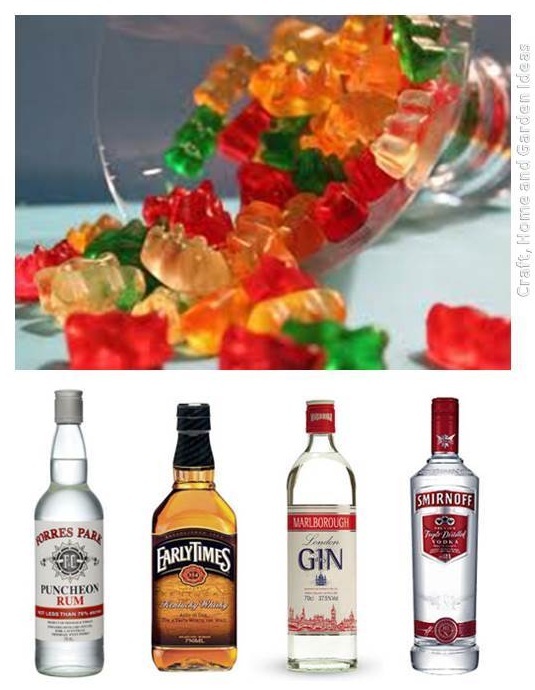 The longer the gummy bears are sitting in alcohol the more alcohol they absorb. Remove the gummy bears from the fridge and eat and enjoy.